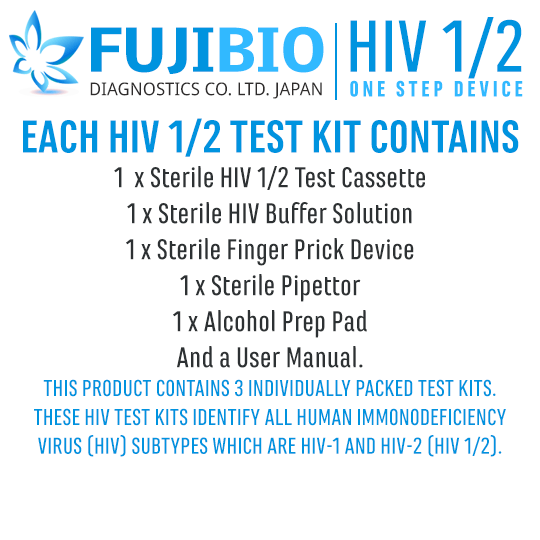 HIV Test Philippines - Buy HIV Test Kit. 99.9% Accurate. View cart “Fujibio HIV Test Kit (3 Kits)” has been added to your cart. 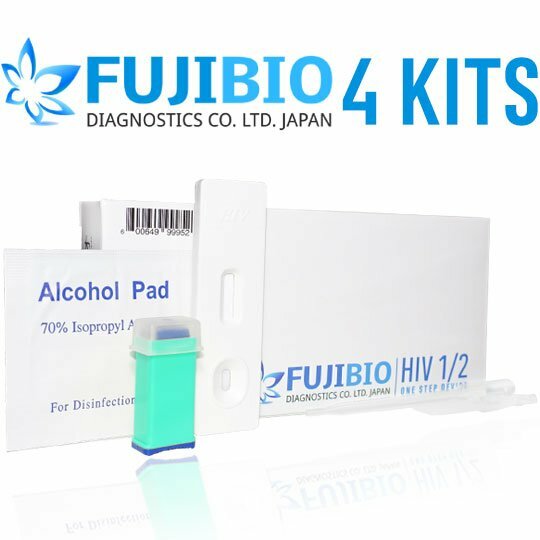 Fujibio HIV 1/2 One Step Device is the most accurate HIV test kit that you can do in the privacy of your own home. 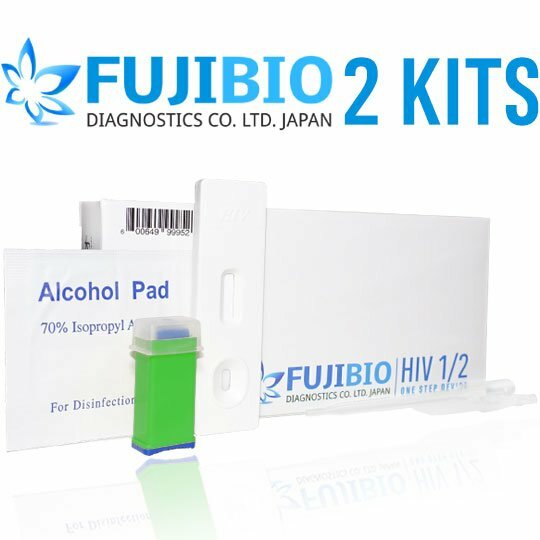 It detects the presence of antibodies from all HIV types which are HIV-1 and HIV-2 that are present in the blood with a remarkable 99.9% accuracy. This HIV Test Kit uses blood as a specimen. Latest research shows that an HIV test using blood as a specimen gives a more accurate results than an HIV test using saliva as a specimen. 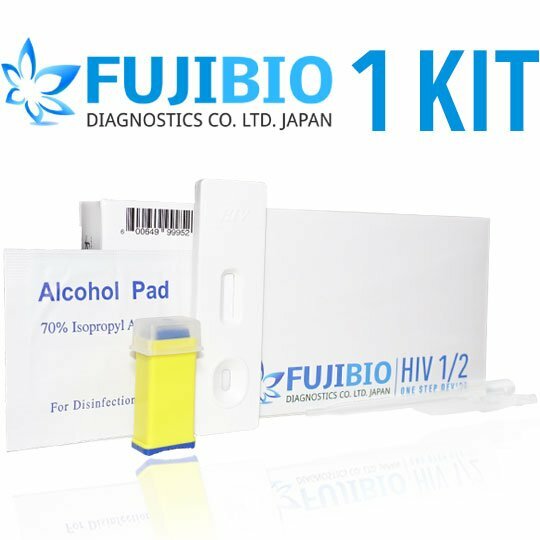 Fujibio HIV 1/2 One Step Device is clinically proven to detect HIV infection as early as 6 weeks post infection. Result is ready in just 10 minutes. It is very important that you are psychologically ready in taking the test. Our trained team of counselors are ready to accept your calls so you can express more about your fears and concerns in taking an HIV Test. All information that you will provide with our counselors are kept confidential and will never be shared to anyone. If the device shows a negative result after carefully following our HIV test kit user manual and it has been 3 months since you had a risk incident, you likely do not have HIV. If the device shows a positive result, You will have to call our team of counselors so we can provide more information on how to get confirmatory testing using western blot. We will also provide you with information on what to do at this point as well as resources to various HIV support groups near your area. Rest assured that calls are strictly confidential. accurate yung kit, dito ko nalaman na positive ako. napaka supportive ng team nila dahil na refer ako at na confirmatory and all is well! 1 month na akong naka ARV and I consider my life as a blessing. mag test po tayo at wag matakot, once na mag take kasi ng gamot magiging undetectable na po yung virus parang wala nalang po ang HIV. ang mahirap yung too late na bago ka mag test yung sirang sira na mga internal organs mo. Supportive team and sana marami pa kayong matulungan. im very curious with this device that’s why i want to try it. after trying it and happy with the result, i also have the test in the health center. surprisingly the result is same as what the fujibio hiv test kit says. im so scared after i had a risk incident, but after i tried the kit and the result is negative, napawi lahat ng kaba at takot ko. i just talked to the counselor and ask for assistance, very professional approach and they know how to give advise.